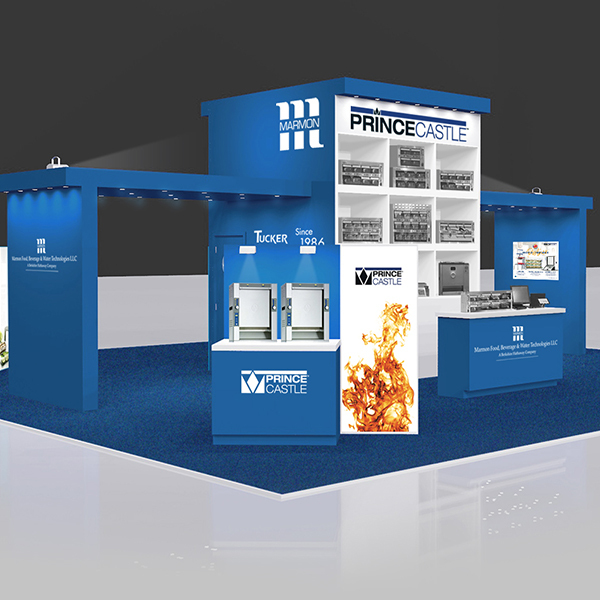 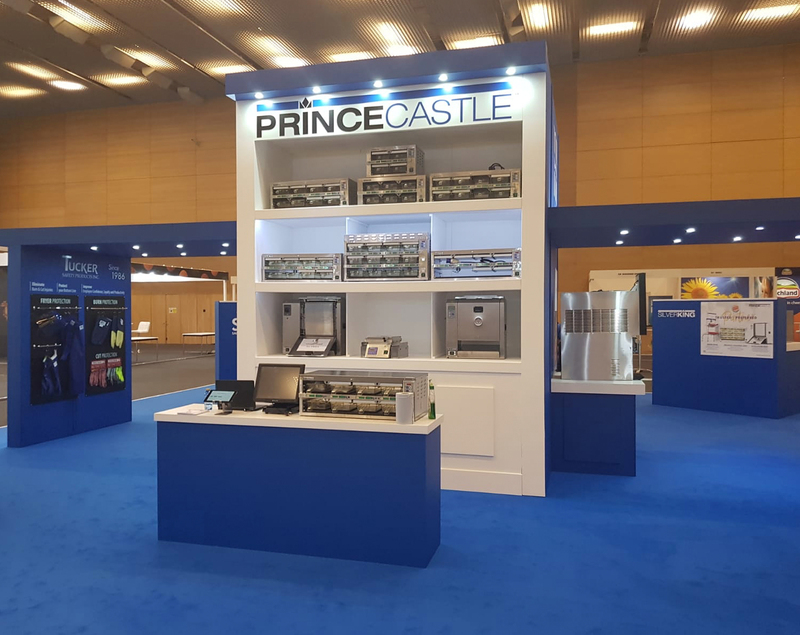 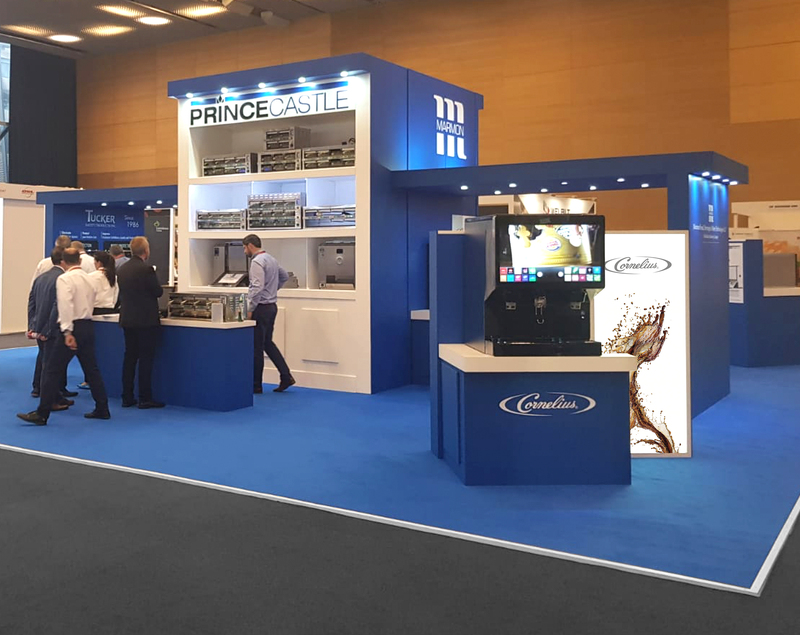 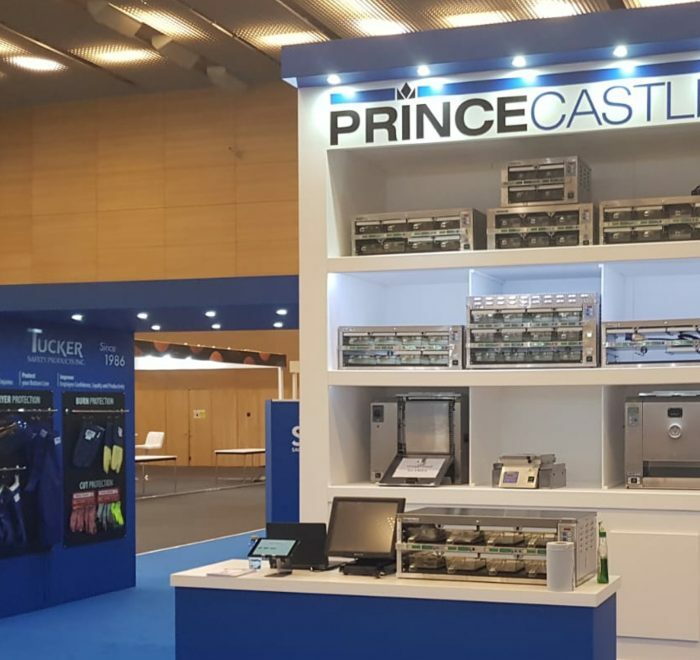 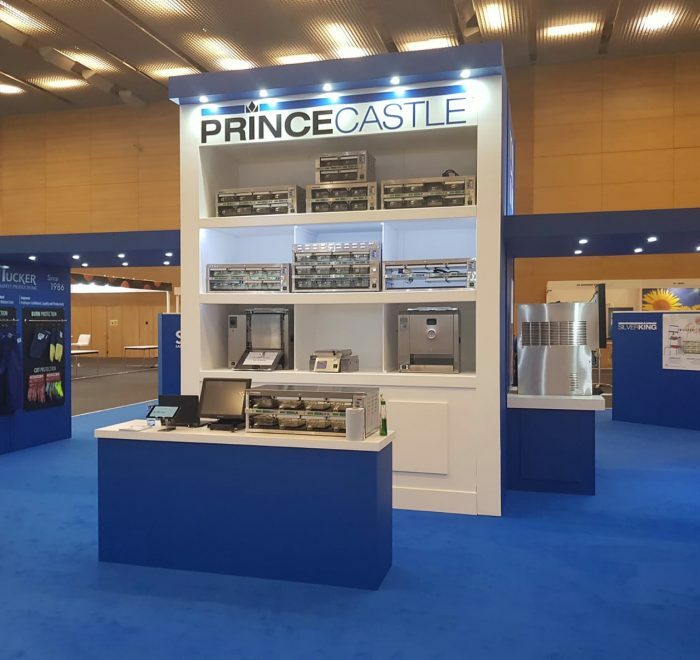 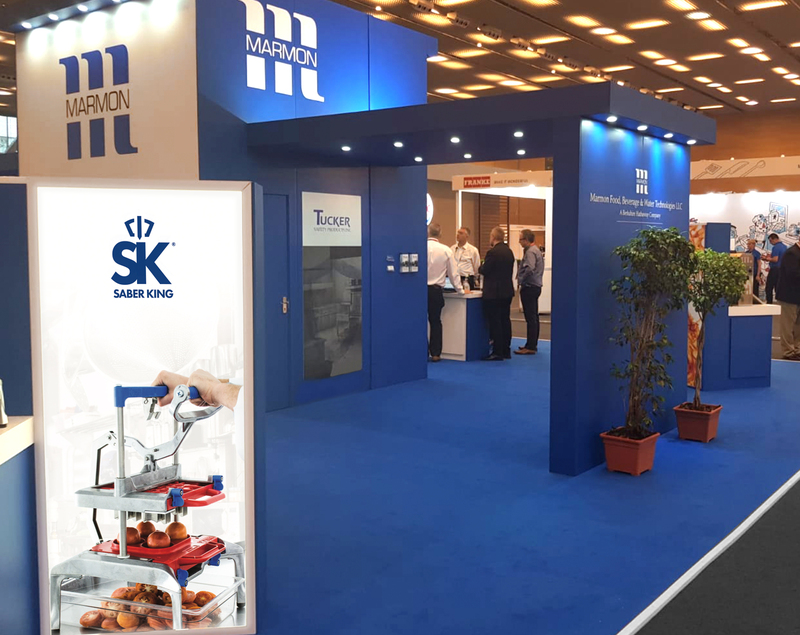 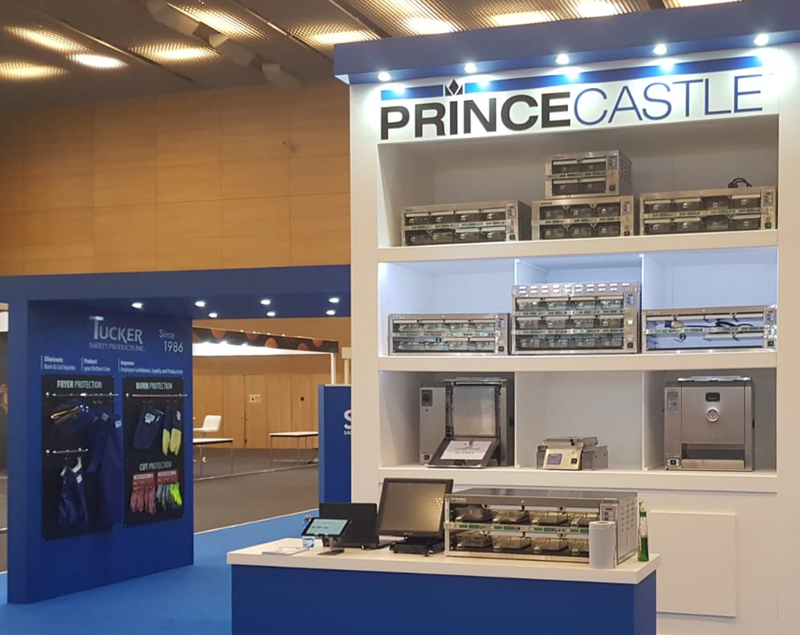 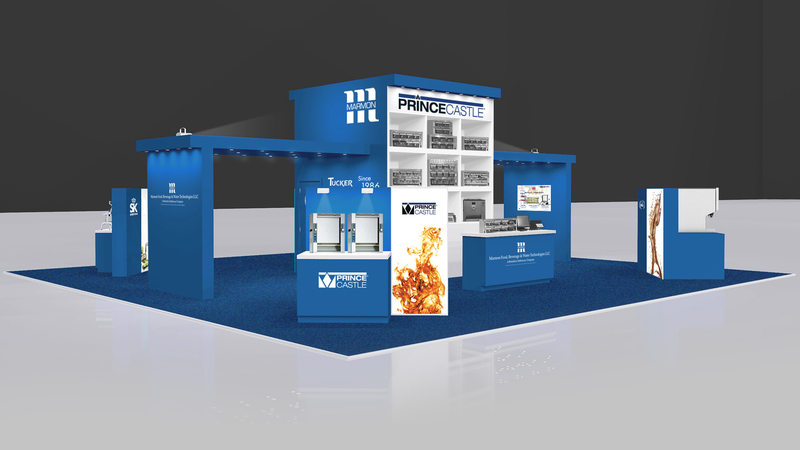 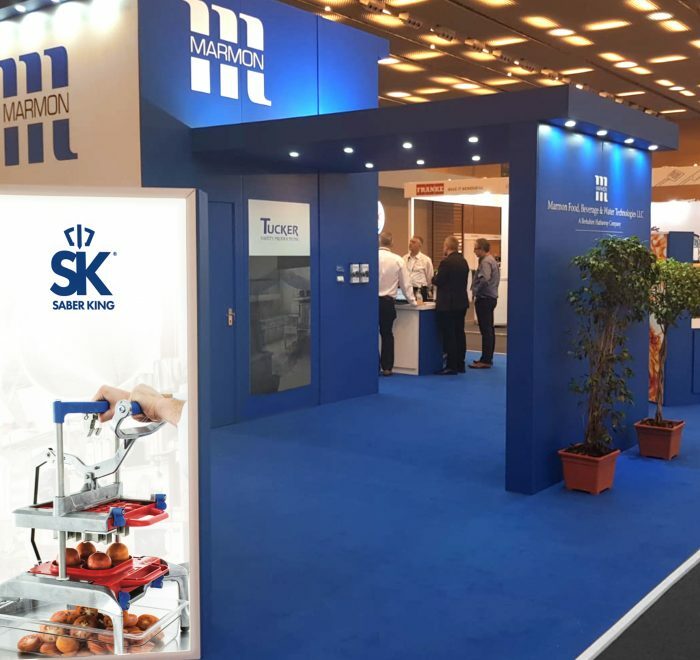 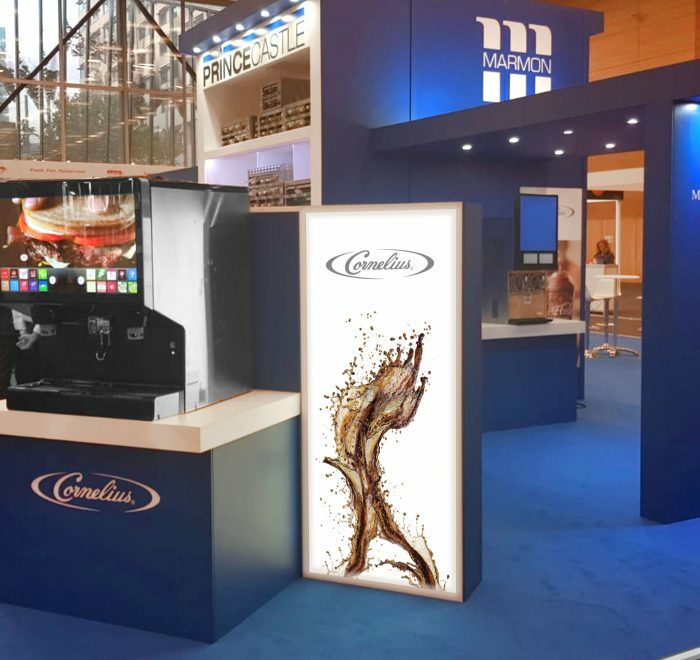 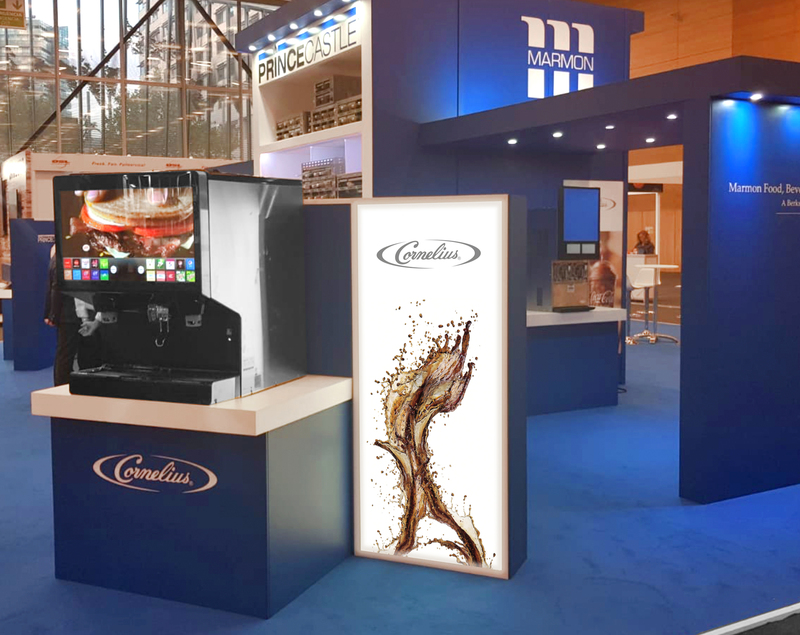 This year’s stand was in Barcelona at the Burger King Convention. 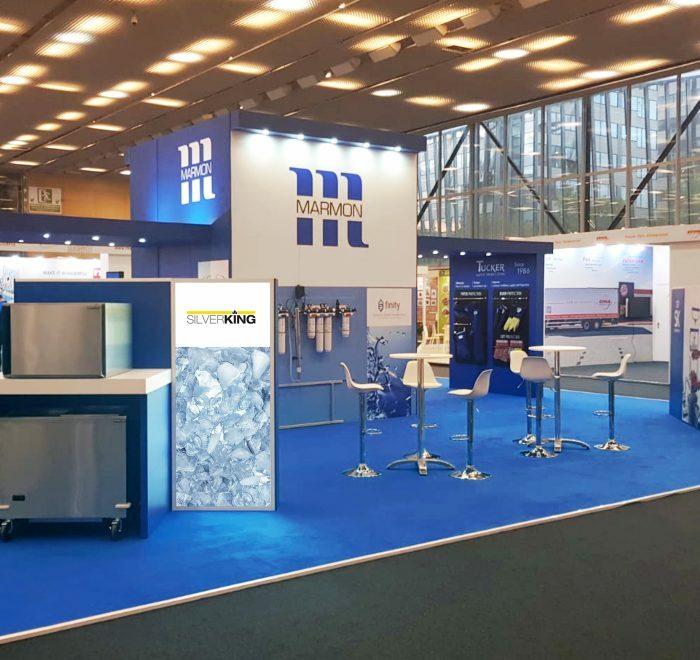 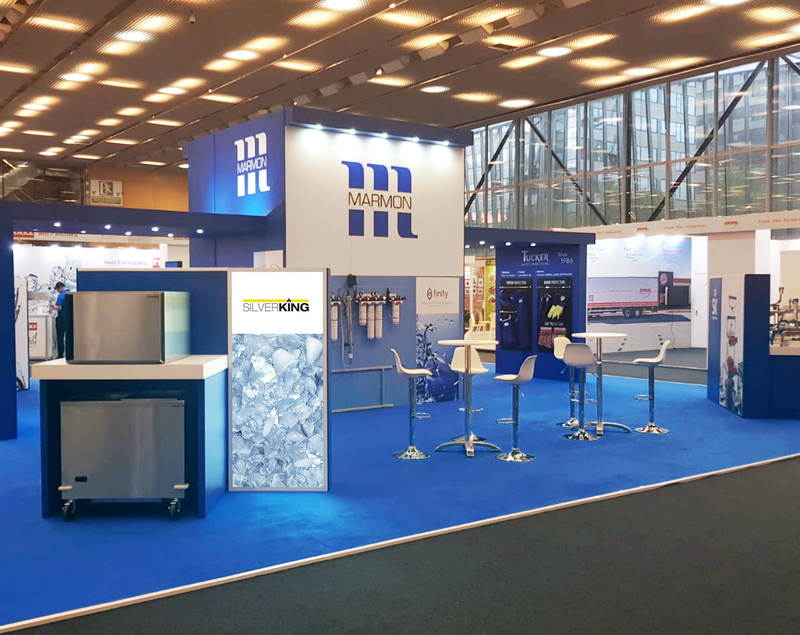 We designed a space that gave clear product demonstration areas, each having their own lightbox and a few reinforced plinths for the heavy duty products. 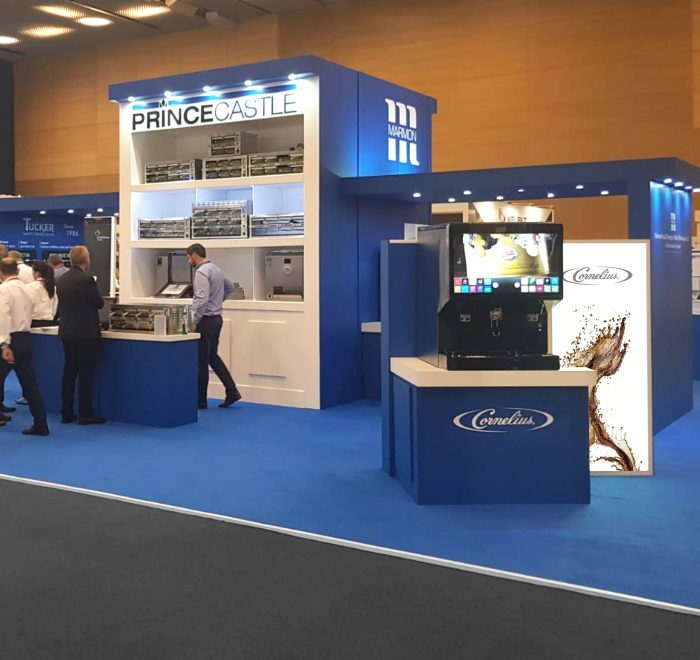 The central tower was 4m high and acted as a central focus, we were pleased to be able to reuse the main shelving unit from the previous year to keep costs down for our client.